One can understand why collectors eagerly await this annual selling exhibition of English, Continental and Oriental porcelain for there is always much to tempt them. This year delivers some great pieces of which I show a few. The opening words of the catalogue’s foreword offer a useful reminder as to why some of us collect: Collecting ceramics gives us intriguing windows into the past with each piece resonating with the life, times, hopes and aspirations of its original owner. National Trust Images/Arnhel de Serra. 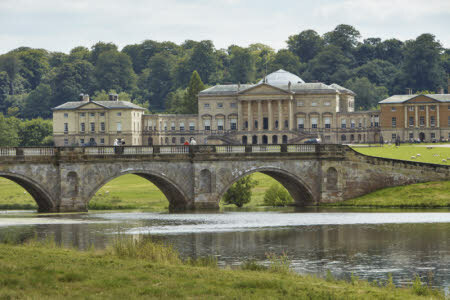 The idea of having an exhibition of Derby porcelain at Kedleston Hall, just outside Derby, is an appealing one. The original aim was to combine Derby porcelain from Kedleston with fine examples of the factory held by other National Trust properties. Sadly, things have appeared not to go to plan as at least ten National Trust houses with relevant pieces failed to respond adequately or at all. 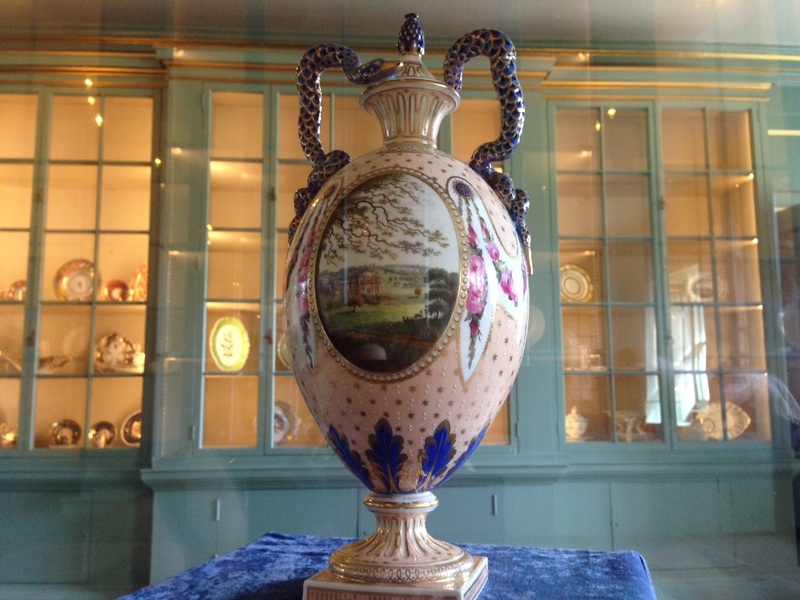 It was therefore fortunate that this show had the support of Royal Crown Derby, who have generously loaned the Kedleston Vase (c 1790) back to the house it was made for, and the Derby Porcelain International Society, for two members of the latter have loaned pieces from their own collections to make up for the shortfall of National Trust items. There is no doubt that what is there on show is of some interest and appeal but it is sad to think that more of the Trust’s own Derby treasures were not forthcoming and I think that serious questions need to be asked within the organisation as to why. The press release I received said “Kedleston plates up Derby porcelain exhibition”, and some wag may now possibly be tempted to ask “has the National Trust gone to pot?” I must add that having been a keen National Trust visitor over the years and having the pleasure of writing about them that I feel somewhat disappointed and let down.